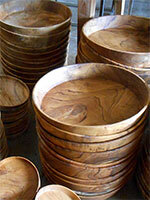 Teak wood bowls and trays made in Indonesia. Wide range of homeware and kitchen utensils made of teak wood. 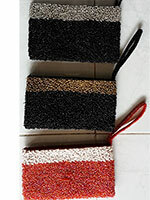 Various sizes and shapes, all suitable to use as kitchenware. We are able to make almost all type of kitchen tools made of teak wood, if you need kitchenware but not seen here, please contact us. We will try to make it for you. We are wholesale company, factory direct. Good price direct from factory in Indonesia. We also have beautiful sono wood bowls. Inspirational wood signs as your motivational wood signs to decorate your house or room. This is wooden plaque handmade in Bali Indonesia with Popular Inspirational Quotes or funny jokes. Made of solid wood and hand painted by Balinese craftsmen. Available in various sizes to fit your need. 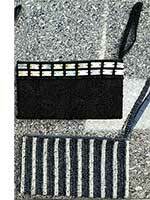 Use as wall hanging or place on a shelf. We're producer and supplier of Balinese wood crafts wood sign with funny quotes or vintage advertising on wood. Wholesale only. 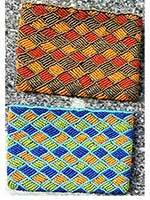 We produce and export in bulk quantity. We support fair trade. Palm Wood Utensils from Bali Indonesia. Various kitchen accessories made of coconut wood and coconut shells. Organic and natural materials. 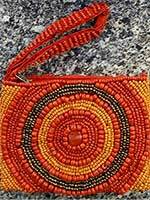 Handmade and Fair Trade crafts. 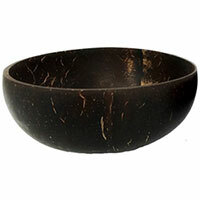 Coconut Shell Bowls from Indonesia Wholesale. Sea shell crafts from Bali Indonesia. Various handicrafts made of various sea shells including MOP shells (Mother of Pearl Shells). Buy shell handicrafts from factory include jewellery boxes, shell carvings, lamps, mirror frames and also kitchen utensils such as plates, bowls, trays or even salt and pepper holders. Don't forget to view our Seashell Chandeliers from Bali. Other than turtle, we have also sea shell crafts fish carvings. Wood carvings from Bali Indonesia by CV MAYA, a Bali arts and crafts company located in Denpasar, near Kuta, Ubud and Gianyar area. We're producer and exporter company of wood handicrafts and wooden gifts. We have a large collection of handmade souvenirs made in Indonesia. Bali wood carvings. Wood carvings made by Balinese craftsmen. Available in various sizes. Made of solid wood. Carved wood tree trunk from Bali. Balinese wood carving made from tree trunk. Painted Bamboo ducks Indonesia. Hand painted bamboo root ducks with antique colors. Painting wooden ducks from Java Indonesia. Browse our catalog of bamboo root wood ducks. Wood Hand Chairs . Chairs and tables furniture from Bali Indonesia. Wooden chairs and tables in shape of hand or palm. Very unique and attractive. Made by skill hand of Balinese craftsmen. Also available wooden hand tables with glass top. Single or double hand table with glass top. Remember that we sell this wooden hand tables WITHOUT the glass top. If you need the glass top, we're able to supply you. Carved Wood Products from Bali Indonesia. Surfing board chairs. Wooden chair made of two pieces of surfing board. Knock down and strong. Surf board chairs furniture made in Indonesia. Made of mahogany or teak wood. Made to order only. Production takes more than two weeks. Unique beach furniture made in Indonesia. Surfboards chair furniture suitable for shops, hotels, or cafe located near the beach. To order this surfboard wood chair furniture, please send your inquiry to us. Baskets and Trays from Bali Indonesia. Palm Wood Utensils from Bali Indonesia. Kitchen wares from Bali Indonesia. Coco Shell Inlays Crafts Bali Indonesia. Wood Boxes Supplier Bali Indonesia. Bamboo Root Ducks Bali Indonesia. Bamboo windchimes from Bali Indonesia. Leaf Photo Albums Bali Indonesia. Surfing Boards Gifts Bali Indonesia. Homeware from Indonesia. Home accessories from Indonesia. Home decors and home improvment products made of various natural materials including rattan, wicker, cane, waterhyacinth, pandanus, rice husk, grass fibers, sea grass, wood, stone, coconut rib etc. All made in Indonesia. Browse our catalog of homeware from Indonesia. Glass Crafts from Bali Indonesia. 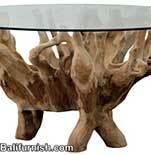 Tree Root Furniture Bali Indonesia. Wood Carvings from Bali Indonesia. Lamp Shades from Bali Indonesia.